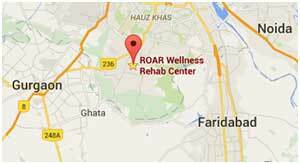 Roar Wellness is the leading rehabilitation centre in delhi for overcoming addictions related to Alcohol, Drug Abuse etc. 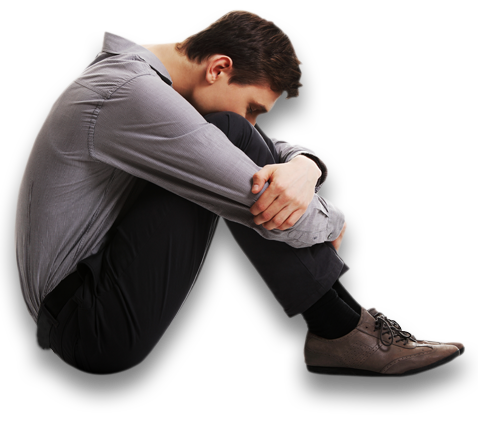 Roar Wellness rehab & de addiction centre in delhi is committed to maintaining confidentiality while providing safe and effective treatment. ROAR is known internationally as a premium, luxury rehabilitation centre/Nasha Mukti Kendra with a high success rate. It is located in South Delhi and attracts patients not just from Delhi/NCR, but also Mumbai, Haryana, Chandigarh, Amritsar, Ludhiana, Punjab & Other Areas. It is our belief that no one should feel isolated and alone in their struggle to overcome addiction. We are committed to help those in need with our experience & best treatment thereby ensuring the highest success rate. Once you decide to quit alcohol/drugs, Roar Wellness is the only place which will ensure you get the right assistance in getting rid of these Addictions. Alcohol Rehabilitation Centre in Delhi, Rehabilitation Centre in Delhi for Drugs, Rehabilitation Centre in Delhi for Alcohol, Drug addiction Treatment Delhi, Alcohol addiction treatment Delhi, Residential Rehabilitation Centre Delhi, Luxury Rehab in Delhi, Nasha Mukti Kendra in Delhi, Nasha Mukti Centre, Dual Diagnosis Treatment Delhi, Drug rehabilitation centre in delhi, Alcohol Rehab centre in delhi, Drug Rehab centre in delhi, Substance Abuse Counseling, Yoga and Meditation, Drink and Drug refusing skills, 12 Step Treatment, Correction & Behavior Modification. • Asistance from an expert team of consultant psychiatrists/psychologists, therapists and attendants. • 24 hour referrals with places available 365 days a year, ROAR aims to give the best quality care in residential treatment for substance use disorder. Our team is motivated to deliver treatment and personal care that meets our highest standards. Over the years, we have improved our processes to create an open, world class environment. Our focus on discipline, safety and procedures ensures best results everytime. Our procedures with multiple system checks ensures the safety and effectiveness of the treatment. We strive to improve the results we deliver. We have regular audits and compliance checks based on which process improvements are incorporated to successfully offer better care with time. The ROAR rehab centre has a single objective of delivering the highest quality of care across the complete spectrum of services regarding substance use disorder treatment. This is delivered in a secure environment and is administered by a well educated, experienced staff of healthcare practitioners and councillors who monitor the de-addiction process every step of the way. With the assurance of achieving positive results, ROAR rehabilitation and de-addiction centre is considered a benchmark in this domain. • Ensure a positive experience of care from all who use our services. ROAR fosters an open and transparent culture that promotes evidence-based practice, continuous learning and improvement. We aspire to be world class and a beacon of good practice. The team of healthcare professionals that work at ROAR and expert consultants associated with ROAR understand the importance of their work. It is their committed, focussed approach that sets ROAR apart and presents us as the leading rehabilitation centre that supports those in need of de-addiction in a truly exemplary manner. The rehabilitation process at ROAR presents itself as a true method towards self improvement. Our ever evolving procedure, practical approach to de-addiction and adherance to updated guidelines help us in delivering committed de-addiction results time and again. There is much more to ROAR than just another rehabilitation centre. It provides the perfect blend of lush green surroundings, tranquil ambience and aesthetic living that are so essential when making lifestyle changes and exploring inner strength. To ensure your stay at ROAR is comfortable, we have provided spacious rooms with all basic amenities that are needed. We offer Single, Double and Triple Occupancy Rooms. The living quarters are designed to offer a relaxing environment. Other facilities include well decorated common areas, therapy chambers, dining rooms, a swimming pool, well equipped fitness center, a maintained tropical garden with big lawn for activities. Our inhouse kitchen and trained chefs provide nutritious, multi-cuisine meals to offer a balanced diet. You only need to carry your clothes and toiletries when planning a stay at RORA Rehabilition Center.